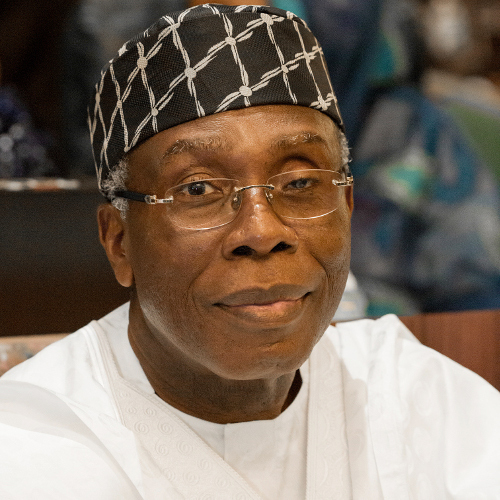 The Minister of Agriculture and Rural Development, Chief Audu Ogbeh, on Wednesday, decried the high interest rate on bank credit for farmers , which he described as not conducive for agriculture and agribusiness in the country. The Minister said this during the signing of Memorandum of Understanding (MOU) between the Nigerian Agricultural Mechanization and Equipment Leasing Company (NAMEL) , Tractor Owners and Operators Association of Nigeria (TOOAN) and Tractor Owners and Hiring Facilities Association of Nigeria (TOHFAN) under the Private Sector Driven Mechanization Programme (PSDMP) in Abuja. Ogbeh maintained that the current high interest rate for Nigerian farmers was a major disincentive for farmers and undermining agricultural production in the country. He gave an assurance that current reforms in the Bank of Agriculture would soon be completed with a view to making Nigerian farmers enjoy low interest rate on loans and become shareholders in the bank. The Minister, who noted that government lacked the capacity to manage tractors, commended the NAMEL and the private sector mechanization service providers, namely TOOAN and TOHFAN, for their support and expressed the Federal Governmentâ€™s commitment to give them necessary support to grow their businesses and provide quality services for farmers. The Minister described the project as a good innovation, the country hoped for and should never be allowed to die, adding that using agriculture to bring life into the rural areas is one of the policy thrusts of President Buhari-led administration. He explained: â€œThe Memorandum of Understanding that we are signing today is one of the greatest innovation in Agricultural Sector because government cannot manage tractors, with the experience of so many years the tractors never last, they were supposed to last for 15 years but due to poor handling they only last for two or three yearsâ€. Commenting at the forum, the NAMEL CEO, Dr. Ahmed Adekunle, said that the partnership between NAMEL and the Mechanization Service Providers (MSPs) would not only provide equipment to Nigerian farmers but also build local capacity to operate, maintain and maximize their uses. Adekunle promised that the partners would remain committed and change the narrative of mechanization in the country. Similarly, he disclosed that NAMEL, in collaboration with heavy duty equipment manufacturer, Mantrac, would soon launch a Nationwide Integrated Agricultural Land Development Scheme (INALDs) to open more lands on a flexible payment term. In his goodwill messages, the National President of TOOAN, Engr. Elesa Yakubu, said that his group which had been able to provide up to 450 new tractors to their members through banks, vendor financing and federal/ state governments was having presence in 27 states, including the FCT, with over 3,000 financial members . Also, the President of TOHFAN, Alhaji Danladi Garba, thanked the Minister for his efforts in ensuring that agricultural mechanization succeeds in the country.